March Badness! Win a $1,000 gift card! Bust your bracket on purpose! The tournament is currently underway. Stay tuned to find out who wins! Tell us who you think will lose and you can win a $1,000 gift card! Pick the losers from the field of 64 and the person who picks the most losers becomes a winner! 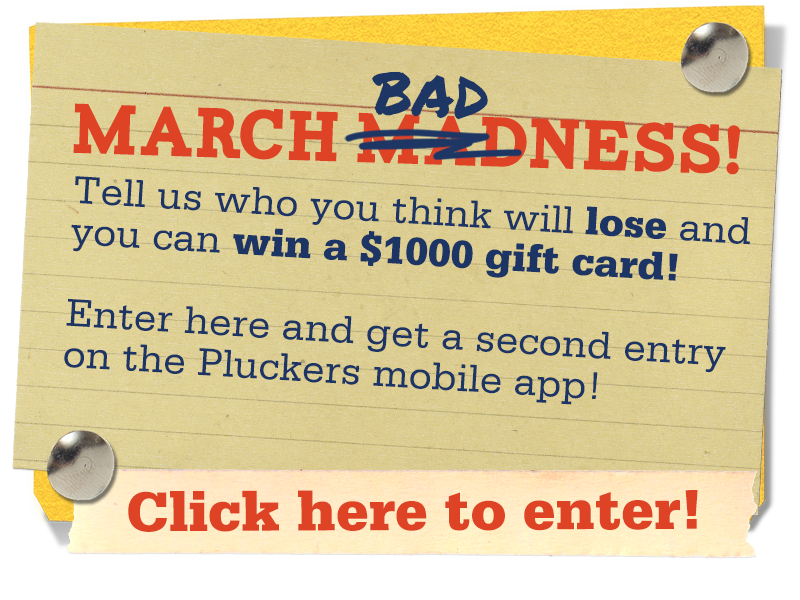 Enter here and on the Pluckers mobile app for 2 chances to win.